UPDATE: There will be no speaker at the March 13th IBF meeting at South Coastal Library in Bethany Beach. We will be finalizing plans for the “Love Our Inland Bays” Dinner to be held April 25th at the Irish Eyes Restaurant in Lewes. Anyone interested in helping with the dinner is welcome to attend. Watch for further details. The Inland Bays support a variety of wildlife. 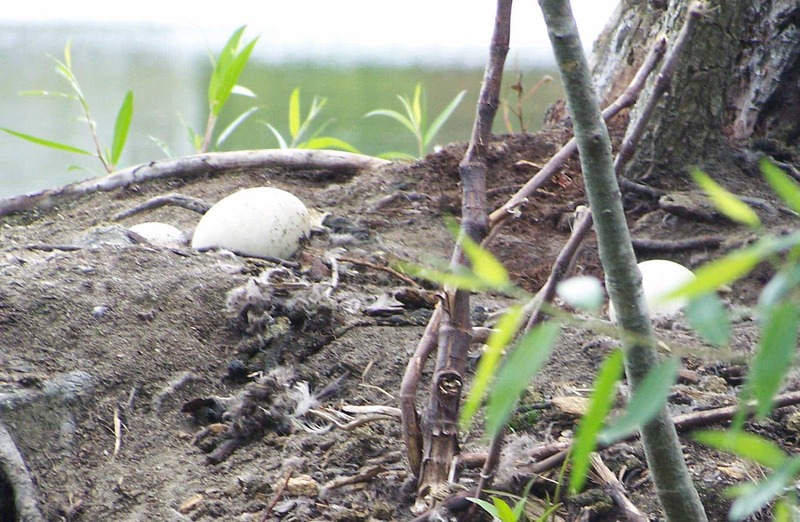 Pictured are Canada goose eggs. 1. The mission of the Inland Bays Foundation is to advocate and promote the restoration of the Inland Bays watershed by conducting public outreach and education, tracking restoration efforts, encouraging scientific inquiry and sponsoring needed research, in order to establish a long-term process for the protection and enhancement of the Inland Bays. 2. The Inland Bays serve as a valuable recreational asset for residents and visitors, and as a diverse habitat for both terrestrial and aquatic life. Our vision is that the Inland Bays and their tributaries will be broadly recognized as a national treasure, and will be restored to good health as measured by established water quality standards. The result will be clear water, free of impacts from toxic contaminants, and with healthy oxygen levels suitable for fishing and swimming.